Beauty In The Mirror: Glossybox / Festive Celebrations December Box! Glossybox / Festive Celebrations December Box! I'm not going to beat around the bush here, this is a great box and well worth the money! So if you're still unsure whether to sign up then hopefully once you see this box you'll soon know. I've not featured the last couple boxes because they didn't excite me that much, except for last months which did have a couple gems in which I will be blogging about soon. However once the December box landed on my doorstep yesterday I couldn't wait to open it up and I was NOT disappointed. 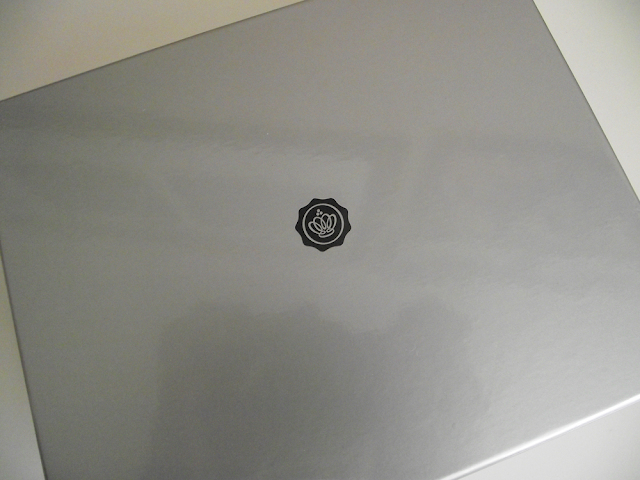 Greeted with a nice silver shiny box, once I lifted the lid I soon saw the silver theme continuing. 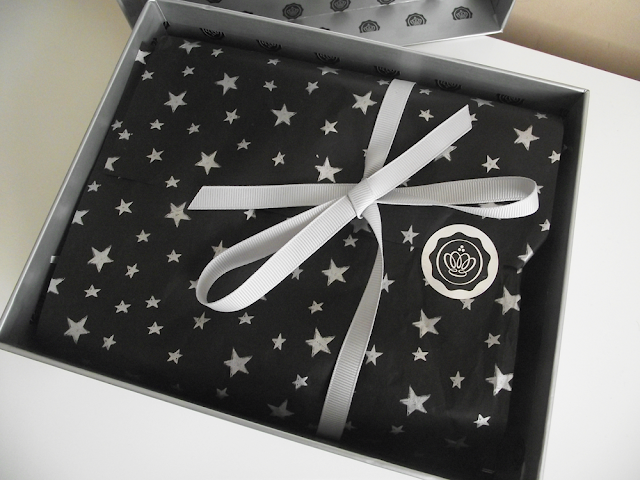 Black tissue paper with silver stars printed on and silver ribbon.Very chic and stylish. I always remove the leaflet which tells you about the contents, I like to delve into the box not knowing what to expect and then I read the leaflet afterwards. 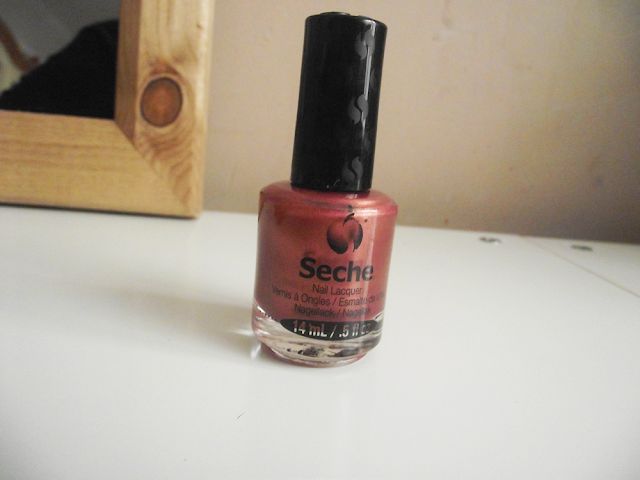 So the first product to catch my eye was the stunning Seche Nail Lacquer! I literally grinned like the Cheshire Cat. I love the Seche Vite top coat and can not wait to test this one out. I have the shade Elegant which is a metallic mix of copper and gold. Plus there's an amazing offer to be had when visiting nailsbymail.co.uk. This is a full sized nail lacquer 14ml retailing £9.95. The next item is a bonus item, a Glossybox blusher, I know Glossybox have had a little stick in the past for adding their 'own' products but I must be speak up and say their Lipstick which was featured a few boxes ago is one of my favourite pink lipsticks and wish I could buy a back up! 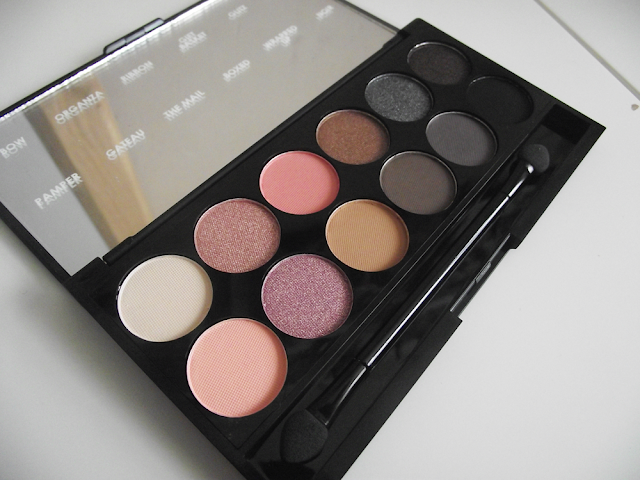 I love pink blushers at the end of Winter time so will be excited to give this one a whirl. Moving on I then found a generous travel sized body cream by RITUALS. Magic Touch Whipped Body Cream is a bestseller and I can see why. It smells amazing, Rice Milk is great for nourishing the skin and Cherry Blossom leaves a lovely indulgent scent which lingers on your skin, awakening your senses! This is a 70ml retailing £5. Lip care is a must for me this time of year so when I spotted the Anatomicals Lip Gloss I knew it would be used often. Plus it smells of Strawberry Milkshakes! What's not to love?? Anatomicals have great fun packaging and certainly stand out. This is a full size 10ml retailing £3.49. Then finally a haircare product which ALWAYS appeals to me, Milk_Shake Conditioning Whipped Cream. I am eager to test this one out because I don't use any mousse typed products in my hair because I find them thick and heavy and too much for my thick hair. However after reading about it's mouth-watering fragrance and claims to add shine and strengthen your hair I'm sold already. This is a 100ml retailing £7.40. So there you have it peeps, a VERY good box indeed don't you think? Well worth £10 + P&P! I have a special online discount for you 15% off the first box of any GLOSSYBOX order, simply add this special code into the promotion code box- AFFDEC15. Valid until 31st December. 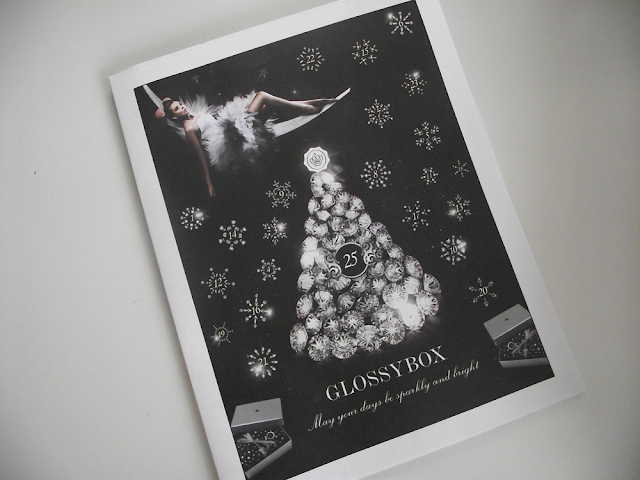 GlossyBox have lots of giveaways going on through the festive season, so be sure to go and check them all out. Over on their Facebook page they have their very own Advent Calendar. What did you think of the Festive Celebrations box? Wow, thank you for posting this - I've been in two minds on whether to sign up as I've always thought the products looked 'sample' sized, but I think this has swayed me, especially seeing as I've just bought the exact same Sleek Palette and paid full price for it!